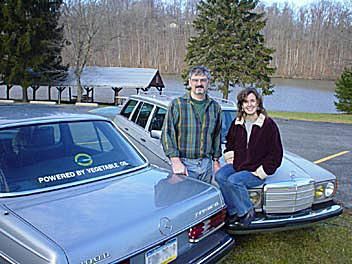 Scott and Christine Gable are former writers for ThoughtCo who co-authored articles on automobile hybrids and alternative fuels. The writing duo once brewed biodiesel in their basement and traveled 125,000 miles on waste vegetable oil. They also gave community presentations and demonstrations on powering vehicles with vegetable oil. Scott worked as a machinist and computer technician and owned an automotive repair shop. His fascination with how things work fuels his research as he invents, builds, and fixes anything mechanical. This fascination led to him converting cars to run on veggie oil. Christine worked as a professional writer with national credits which include the Green Car Journal. She wrote numerous articles highlighting renewable energy technologies. Christine also writes for sustainable businesses. Christine Gable studied at Vermont College and Millersville University. What Is Fuel Atomization and How Does It Make Engines Work? What is a Lean-Burn Engine? What is an Ultra Low Emissions Vehicle (ULEV)? What Is a Super Ultra Low Emissions Vehicle? What Is BlueTEC Clean Diesel Technology?